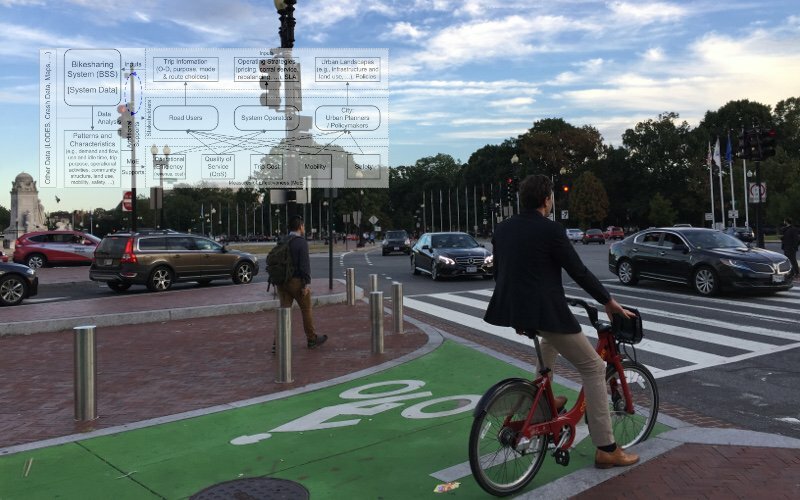 According to the combined data of the traffic safety statistics of 2013-2015 from DDOT and the crash data from Open Data DC, there were 707.4 bike crashes per year in average between 2012-2016, where 46.8 bicyclists were fatal or major injured and 436.6 were minor injured. From spatial analysis, the broad spatial distribution of crashes certainly gives a warning that bike safety requires a significant improvement. The heatmap of crashes provides us a visual summary of the most frequent crash regions. We also identified the significant crash hot spots, using the method of Z scores from the Getis-Ord Gi* statistic with 99% confidence. By including the trip demand information, we found that the hot spots of bike crashes have a strong spatial correlation with trip demand.